HOME CULTURE Community POPS presents Shakespeare’s “The Tempest” to take Okinawa by storm! POPS presents Shakespeare’s “The Tempest” to take Okinawa by storm! All photos by Roadie Photography. The Pacific Okinawa Players are presenting William Shakespeare’s The Tempest on the stage of the Foster Community Center Auditorium. The production will run from May 19 through 28th. 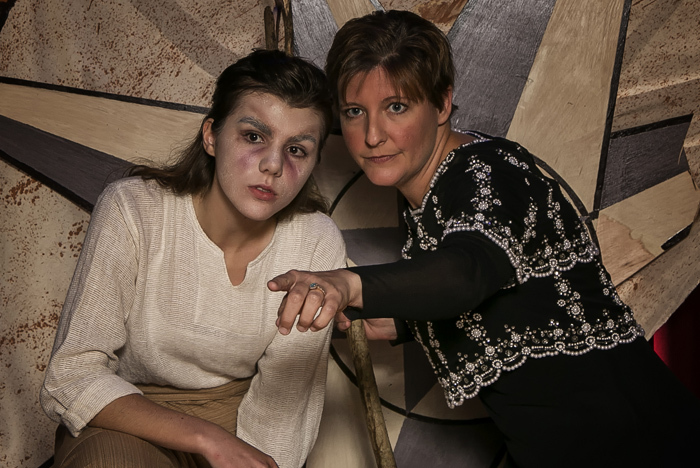 The Tempest, William Shakespeare’s final play, is the story of a family stranded on a magical island and their journey to find their way home again. From the opening thunderclap of the terrifying sea storm the audience is transported to a world where nothing is as it seems and anything can happen. Meet Prospera, the powerful sorceress driven by revenge, who with Ariel, the magical and mischievous island sprite, play matchmaker to the beautiful Miranda and the young prince Ferdinand. 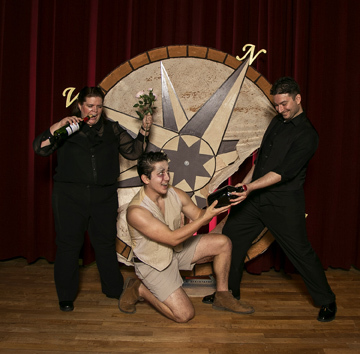 The horrible monster Caliban hatches a devious plot, and the antics of Stephano and Trinculo, two drunken buffoons, will have the audience in stitches! Filled with magic, comedy, romance, and excitement this show will keep the audience on the edge of their seats. 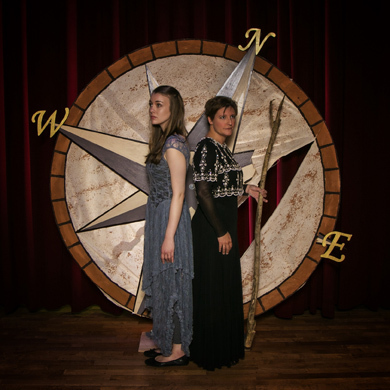 The Tempest is adapted and directed by Amy Pastoor. No stranger to Shakespeare, Ms. Pastoor holds her MFA in classical theatre from George Washington University and brings her expertise and imagination to life on the stage. Amy is thrilled to be joined on the production team by Sara Vetter (stage management), Kate Smithyman (producer), Veronica Davis (light design), Gary Hughes (set design), and Sam Thomas (prop design). The cast includes Kate Smithyman (Prospera), Maleigha Spring (Ariel), Paul Riegert (Caliban), Grace Olson (Miranda), Salee Oboza (Antonia), Glen Mitchel (Gonzalo), Jerome Brackins, Jr (Ferdinand), Joshua Bales (Sebastian), Nick Dastas (Stephano), Kelly Dolan (Alonso), and Christine Smith (Trinculo), with Kristin Hearn, Brandon Queen, Stephen Campbell, Grace Rogers, Shanaiya Ferguson, Samantha Mitchell, Stephen Loftesnes, Grace Herndon, Lillian Oboza, Ellie Dolan and Alycia Desiderio. 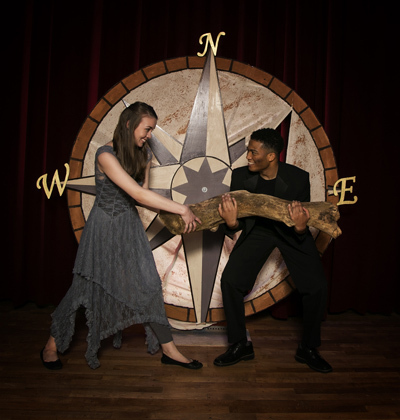 The Tempest will run for two weekends May 19th-28th, with evening performances on Friday and Saturday night at 7:00 pm and matinee showings on Saturday and Sunday afternoons at 2:00 pm. The second Saturday matinee will include a Q & A session with the cast and crew after the show. The Tempest is a family show for all ages although loud noises and strobe effects may not be suitable for the very young. All performances will be held at the Camp Foster Community Center Auditorium. Tickets are available at the door and are $10.00 for adults and $5.00 students, seniors, and children under 12. For more information, please visit POPS website.